Dr. Joseph J. Fins, M.D., M.A.C.P., is Chief of the Division of Medical Ethics at Weill Cornell Medical College where he serves as Professor of Medicine, Professor of Public Health and Professor of Medicine in Psychiatry. Dr. Fins is also Director of Medical Ethics at New York-Presbyterian Weill Cornell Medical Center and a member of the Adjunct Faculty of Rockefeller University and a Senior Attending Physician at The Rockefeller University Hospital. A recipient of a Robert Wood Johnson Foundation Investigator Award in Health Policy Research, Dr. Fins has also received a Soros Open Society Institute Project on Death in America Faculty Scholars Award, a Woodrow Wilson National Fellowship Foundation Visiting Fellowship and support from the Dana and Buster Foundations. He was appointed by President Clinton to The White House Commission on Complementary and Alternative Medicine Policy and currently serves on The New York State Task Force on Life and the Law by gubernatorial appointment. Dr. Fins graduated from Wesleyan University (B.A. with Honors, The College of Letters, 1982) and Cornell University Medical College (M.D., 1986). He completed his residency in Internal Medicine and Fellowship in General Internal Medicine at The New York Hospital-Cornell Medical Center and is a Diplomat of the American Board of Internal Medicine. 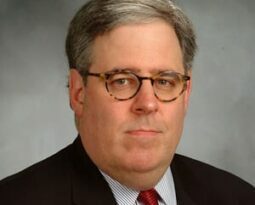 An Attending Physician at New York Presbyterian-Weill Cornell Medical Center, Dr. Fins chairs the hospital’s ethics committee and teaches medicine and bioethics. The author of over 200 publications in medical ethics and health policy, his most recent book is A Palliative Ethic of Care: Clinical Wisdom at Life’s End (Jones and Bartlett, 2006). His current scholarly interests include ethical and policy issues in brain injury and disorders of consciousness, palliative care, research ethics in neurology and psychiatry, medical education and methods of ethics case consultation. He is a co-author of the 2007 Nature paper describing the first use of deep brain stimulation in the minimally conscious state. Dr. Fins has lectured widely in the US, Europe and Latin America and delivered the 2006 American Osler Society John P. McGovern Annual Award Lecture. He has served as Associate for Medicine at The Hastings Center and been a Visiting Professor at The Complutense University in Madrid and Philipps University in Marburg, Germany. Dr. Fins is a Governor of the American College of Physicians and a member of the Editorial Boards of Neuroethics, Journal of Pain and Symptom Management, The Cambridge Quarterly of Healthcare Ethics, The Oncologist and BioMed Central Medical Ethics. He is a Trustee of the American College of Physicians Foundation and has served on the Board of Trustees of Wesleyan University, the Fund for Modern Courts and the American Society of Bioethics and Humanities. Dr. Fins has been a member of New York’s Attorney General’s Commission on Quality Care at the End of Life and is a Fellow of the American College of Physicians, The New York Academy of Medicine and The Hastings Center.